I can’t tell you the number of times my emergency fund has saved my bank account. There was that time when my dog got sick and I ended up with thousands of dollars in vet bills. And then, of course, the year when my trusty old Subaru went on the fritz. Oh, and the day I came home from work and never went back. Okay, that last one was self-imposed. Still, each of these situations could have been detrimental to my personal finances. Without an emergency fund, I would have been carless, thousands of dollars in credit card debt, and probably living in my parents’ basement because I couldn’t have afforded rent with no job. But none of those happened. I was able to fix my car, pay for those vet bills in cash, and sustain myself long enough to find another source of income. All because I had emergency cash on hand. 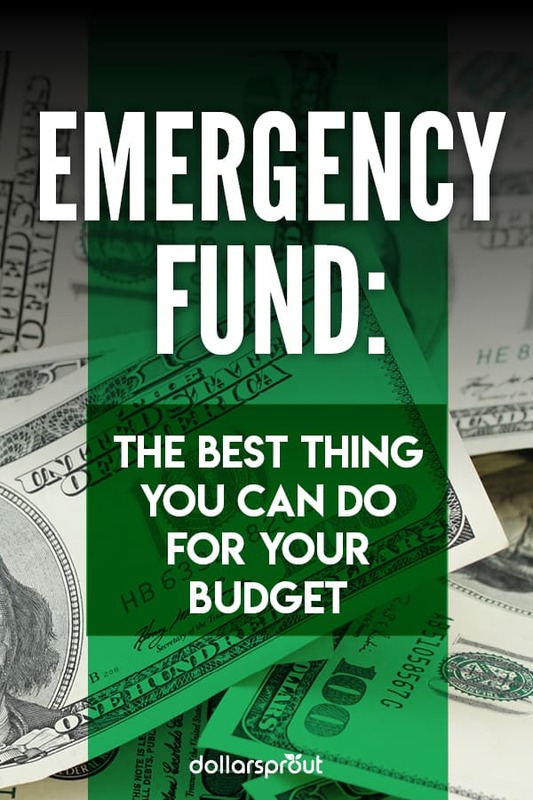 Today I want to talk to you about what an emergency fund is, why it’s important, and how you can build one to protect yourself against life’s unexpected events. 1. It reduces your money-related stress. 2. It protects you and your loved ones. 3. It helps you escape the debt cycle. 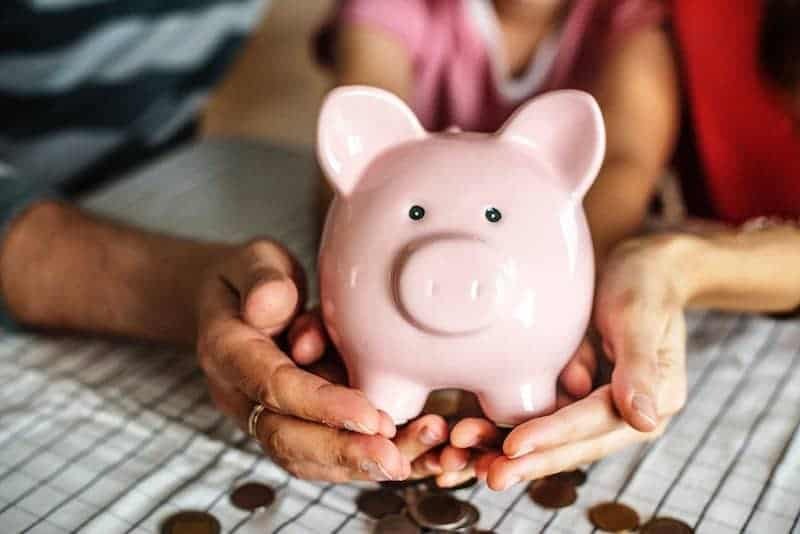 When should I use my emergency fund (and when shouldn’t I)? Cut expenses where you can. An emergency fund is a savings account set aside specifically for those “just in case” situations. Just in case your car breaks down, or someone has to go to the emergency room. In case the heat pump stops working and you have to get it fixed. Your dryer blows up and you need to replace it. I like to think of it as a buffer against Murphy’s Law. If you’re not familiar, the concept of the Law is that whatever can go wrong, will go wrong. We’ve all had those months where everything seems to break or need repairing all at once. That’s Murphy’s Law in action. With an emergency fund in place, you don’t have to stress out when Murphy makes an appearance. You can smile, wave, and approach him with confidence knowing everything is under control. There are numerous benefits, both financially and mentally, to having an emergency savings fund. Studies show that money is one of the leading causes of stress in the U.S. A recent survey found that a whopping 30% of Americans are “constantly” stressed about money. If you’ve ever faced a financial emergency — job loss, the heat going out in the middle of winter, last-minute travel to a family member’s funeral — then you can probably relate. While these are never particularly joyous occasions, they are far less stressful when you have money set aside to deal with them. Unexpected life events often leave us feeling financially vulnerable. However, when you’ve planned for them in advance, you can rest assured that you and the people you care about will be safe and taken care of. When you’re paying off debt, it can feel like no matter what you do, you can’t seem to get ahead. Just when things are going well, something pops up and you have to use your credit card. And the cycle of debt continues. Your emergency fund helps you break this cycle. When something unexpected happens, you can use your emergency fund to cover it, then rebuild your savings cushion before you go back to paying off debt. As a financial coach, I field a lot of questions about saving and managing money. Here are the most common ones I get related to emergency funds. This may surprise you, but you don’t necessarily need thousands and thousands of dollars in emergency cash set aside. The size of your emergency fund depends on your lifestyle, goals, and current circumstances (e.g. paying off debt, kids vs. no kids, own a home vs. rent, etc.). If you’re single, rent a home, receive a steady full-time income, and are focusing on paying off your debt, then you can probably get by with an emergency savings of $1,000 to $1,500. On the other hand, if you own a home, have kids, or rely on freelance work for the bulk of your income, you’ll want to aim for the $5,000 to $7,000 range, at a minimum. Once you’ve paid off your high-interest debt and your finances are steady, you can switch from a starter emergency fund to a fully-funded one. Aim for at least 3 months worth of basic living expenses — things like your rent or mortgage, utilities, food, and gas. Again, if you have dependents or are self-employed, you’ll want to double that to a 6-month emergency savings fund. The more you can stow away for a rainy day, the better prepared you’ll be when that day comes. Ultimately, a 12-month savings cushion should be the goal. However, don’t let that discourage you if it seems far away. Even a few hundred dollars can be a serious budget saver. Start small, and increase your savings as you can. Aim to have 3-6 months of expenses saved up for a rainy day. You should aim to save between $6,585 and $13,170 for your emergency fund. The point of having an emergency fund is to have cash available when you need it. Therefore, you’ll want to keep it in a place where you can access it quickly and easily. However, you don’t want it to be too easy to access. Consider keeping your emergency fund in a separate bank from your other accounts. That way you’re less tempted to dip into your savings for non-emergency situations. High yield savings accounts and money market accounts are good places to store your money for safekeeping. 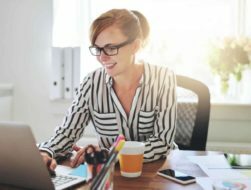 These accounts are federally insured up to $250,000 and allow you to earn interest on your savings. Does it need to happen now? Did I see this coming? What’s necessary for someone else might not be for you. For example, if your car breaks down, but you could easily take public transportation to work and wherever else you need to, then you might not need to repair it right away. You could take a couple months to save up the money instead. Your pet gets sick and needs a $2,000 operation to live. A family member passes away unexpectedly and you want to travel to the funeral to be with your family. Your car breaks down and you need it to get to work. You get laid off from work. These types of expenses aren’t emergencies and should be worked into your normal monthly budget. Rather than relying on your emergency savings, use sinking funds to work them into your monthly budget. Save a little each month and by the time the expense rolls around, you have the money set aside to cover it. First of all, there’s no wrong way to save money. However, there are a few steps you can take to build your emergency fund faster and without sacrificing your sanity. You can save money without one, but creating a budget will help you accomplish your goals much faster. When you have an overall picture of your finances, you’ll be able to see how much money you can contribute to savings each month. From there, you can set a monthly savings goal and develop a timeline for when your emergency savings will be fully funded. This is advice I give to all my financial coaching clients. If you’re living paycheck to paycheck and feel like you don’t have any money left over at the end of the month, start with a few dollars when you can. You’ll be surprised how quickly $5 or $10 adds up. One option is to use an automated savings app like Qapital. When you make a purchase using a linked card, Qapital will round up your transaction and move the spare change to your savings. You can create additional rules to reach your savings goals even faster. Click here to read our full Qapital review. You may have heard the term “pay yourself first.” The idea here is to treat savings as a necessary expense, just like rent or utilities. Make it a non-negotiable. Every time you get paid, set aside a designated amount in your emergency fund. It doesn’t have to be much if the budget is tight right now. The most important thing is to get in the habit of saving first. Once you’ve set aside your savings, budget from what’s left. I’m not telling you to sell your house or cancel your Netflix subscription. Look for quick wins in your budget where you could save some extra money. Subscriptions you don’t use, the “eating out” budget, and negotiating regular bills (cell phones, cable, etc.) are all quick and easy places to start. Once again, apps can help. Trim, for example, is a free tool that will track your spending and look for places in your budget where you can save money. It can also negotiate bills on your behalf, cancel unwanted subscriptions, and offer cash back when you shop. We have a full review of the Trim app here. Last but not least, one of the best ways to build your emergency fund quickly is to look for ways to earn extra money. You could pick up a part-time job, work overtime at your current job (if that’s an option), start a side hustle, or sell a few things you don’t need. Put all the money you make into savings (with the exception of taxes, of course) and you’ll reach your savings goal in no time. Now that you know what an emergency fund is, what it can do for you, and how to set it up, it’s time to start saving. Don’t wait around because you think you don’t have enough to save now. Start small and increase your savings over time. You can use apps like Trim and Qapital to make saving, tracking your spending, and cutting expenses easier. Prioritize saving today. The next time life throws you a curveball or Murphy stops in for a visit, you’ll be glad you did. I am retired. Income around 5000-6000 per month. Any suggestions for what I can improve?